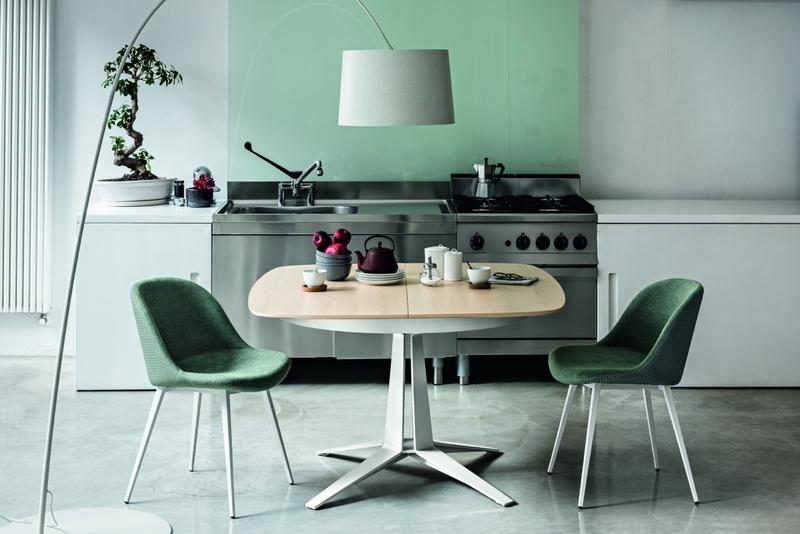 Two available alternatives for the top of the extendable ‘Link’ table: round or square/oval. 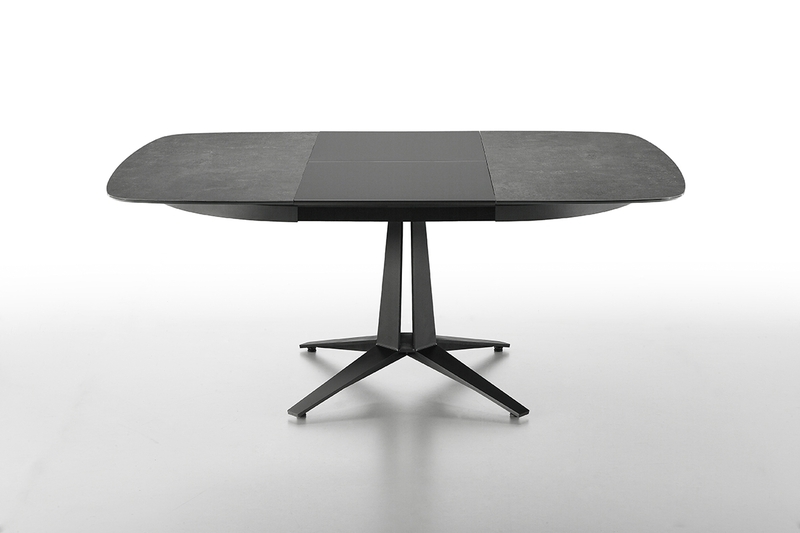 The steel structure with four support legs, a central opening mechanism, and a veneered or crystalceramics top. Link is perfect for youthful and informal settings, Link the furnishing accessory signed by Midj.